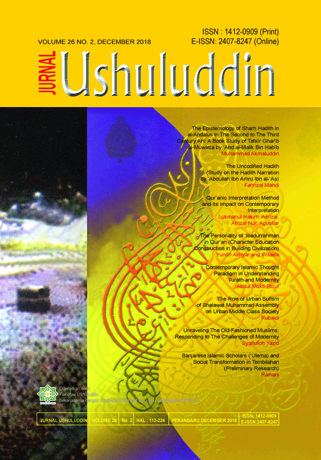 Ushuluddin Journal Manager invites academics, researchers, and enthusiasts of keushuluddinan studies to submit articles to the Ushuluddin Journal in the June 2019 edition. Guidelines for Article Writing can be seen in Author Guidlines and Submission. Thank you.